Play all your favorite '80s favorites with this songbook from the VH1 special. 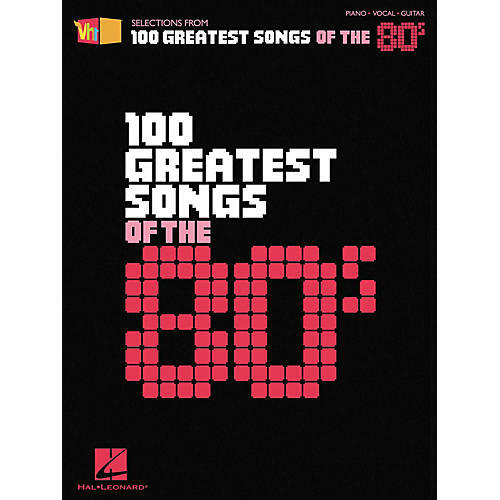 The Hal Leonard VH1 100 Greatest Songs of the '80s is a great piano, vocal, and guitar songbook that features selections from the very popular VH1 special. Includes "You Shook Me All Night Long," "Come on Eileen," "Jack and Diane," and many more. "Fight for Your Right (To Party)"
"99 Red Balloons (99 Luftballons)"
"(You've Got It) The Right Stuff"
"Take My Breath Away (Love Theme)"